Planning a ski trip abroad? To Japan? France? Switzerland? Consider taking another look at Austria, which somehow, someway, still flies under the radar despite its world-class resorts and ski areas. The far western part of the country, known as Tyrol, is just two hours south of Munich and is comprised of steep mountains and tight valleys. Locals say that the vast, rolling terrain is so jagged that only 12 percent of it can be built upon. Looking at the landscape, it’s easy to believe. From the city-side slopes above the streets of Innsbruck to the massive, majestic peaks of the Arlberg, chasing powder in Austria is easy – just hop the train and cruise down the valley. 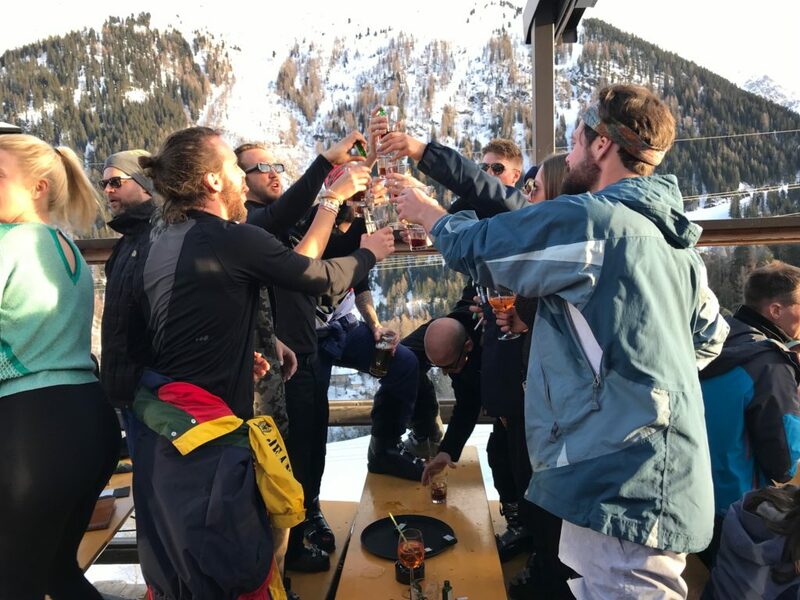 The Arlberg refers to the collective, connected ski area in Tyrol that covers about 20 square miles of terrain – more than double the size of Vail. What’s even more impressive is how connected that vast area is; not only does the Arlberg have an extensive network of 88 lifts, it also has a network of nearly ten villages that unite the region. Seriously, looking at the map will make you drool. Some of the villages are a picture postcard, just big enough for a restaurant and small inn. Others are more established, offering the strong social vibes of the European après scene. Probably the most unbelievable aspect for us North Americans, who live in a ski world where overlap is extremely uncommon, is that all the lifts and villages in the Arlberg are connected and operated under one lift ticket that costs just $64 a day, less than half of what you would expect to pay at a single big-name resort in the States and Canada. You’ll need at least a week in the Arlberg to do it justice – any less, and you’re just scratching the surface of what it offers. Dip into the different villages for meals and beers, chat up locals on the lift to find the best off-piste runs, and don’t miss out on an area known as Valluga. Its front side is open to all, but its backside is open only to those with a certified guide and avy gear. Hiring a guide will set you back a couple hundred bucks, but look at it as a once-in-a-lifetime chance to access this otherwise off-limits terrain. St. Anton is considered the main hub and crown jewel of the Arlberg, and it’s where you’ll want to rest your head. It has a reputation for being a rambunctious après ski town, especially at places like the Mooserwirt and Krazy Kanguruh, where people dancing on tables in ski boots is not uncommon. But if partying is not your thing, don’t fret. The town is well-rounded enough to find whatever vibe you seek, with a wide range of hotels, restaurants, bars, shops and saunas. St. Anton is rich in ski history, most notably as the birthplace of alpine skiing, headlined by the efforts of its most famous local, Hannes Schneider. If you’re a James Bond fan, you’ve seen the Oetztal Valley before – it was the setting for an epic chase scene in the 2015 film, Spectre. Located about halfway between St. Anton and Innsbruck, Oetztal is home to six ski resorts that straddle its narrow valley. Three of them stand out from the rest thanks to their size and proximity to one another. Soelden is the name of the ski area and the town that sits below it. It’s the main winter sports’ hub of the Oetztal Valley, and though it is not as connected as the Arlberg, the quality of its slopes and the range of its terrain rivals any single portion of it. The town of Soelden is roughly the same size as St. Anton by the eye test, with a full range of lodging, dining and entertainment options (though Soeldon as a region is technically much bigger). 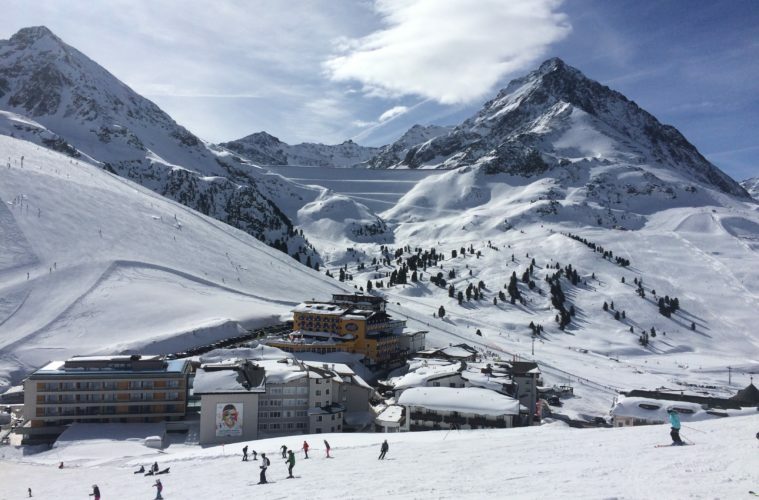 On the slopes, Soelden has about 90 miles of trails and three towering peaks that eclipse 10,000 feet, the highlights for intermediates and advanced skiers being the Rettenbach and Tiefenbach glacier areas. Another fun element of Soelden is a series of challenge courses that include a slalom track and mini ski jump, among others, that are spread across the slopes and free to try as you peruse the mountain. James Bond fans should visit the 007 Elements museum at mid-mountain, whose interactive exhibits pay homage to the series and to Soelden’s role in Spectre. For lunch, try traditional dishes at the Tiroler Stube. Try saying these two names five times fast. Just fifteen minutes down valley from Soelden, Obergurgl and Hochgurgl are technically two different ski areas, yet they operate under the same pass and a horizontal-moving gondola connects them at mid-mountain. Much less crowded and more sparsely developed than Soelden, it’s a true skiers’ mountain with expansive valley views and wide-open, treeless terrain that spans across the two resorts. Head straight up to the Top Mountain Star on Hochgurgl for unbeatable views of the valley, and over to the Hohe Mut Alm on Obergurgl for beers on the patio, surrounded by peaks. Metropolitan areas like Denver and Salt Lake City are appealing to skiers because of the access they provide to the mountains, combining the city and outdoor lifestyles. While much smaller than those two aforementioned cities, Innsbruck serves this purpose in Austria. Scrunched in between the towering peaks on either side of the narrow valley, the small city of not even 150,000 residents is Western Tyrol’s gateway to adventure. Day trips to St Anton and Soelden are possible, but the real appeal are the smaller local mountains nearby, many of which can be seen from the city streets. If you see people standing on the street corner with ski boots – and you will – they’re waiting for the free city ski bus that services the surrounding resorts. Nine of Innsbruck’s resorts can be skied with on a single pass (Olympiaworld Skipass) that costs just $160 for three days. They call Stubai Glacier the “Kingdom of Snow,” and though it does cater to families, it is where serious riders will find the largest assortment of open and challenging terrain, including bowls and chutes. 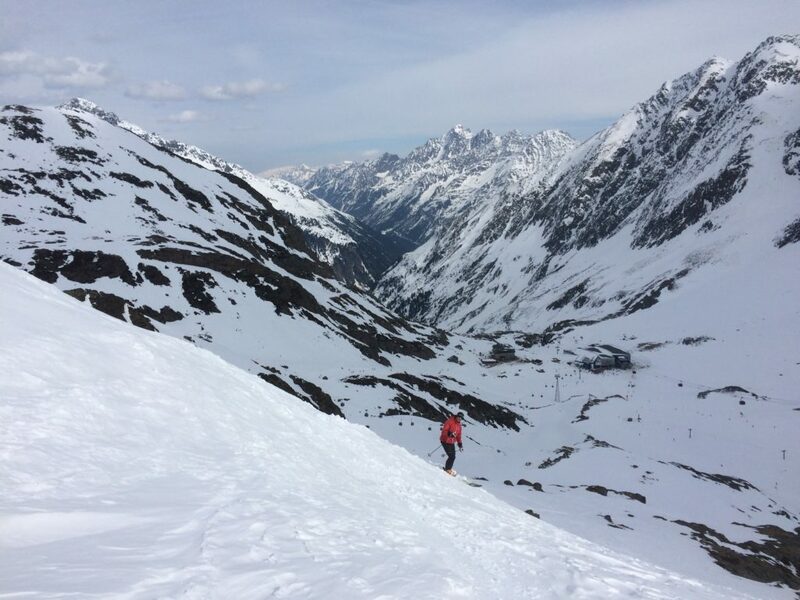 You can also burn your legs on length – Stubai’s longest run is just over six miles from top to bottom, rivaling the longest trails here in North America. 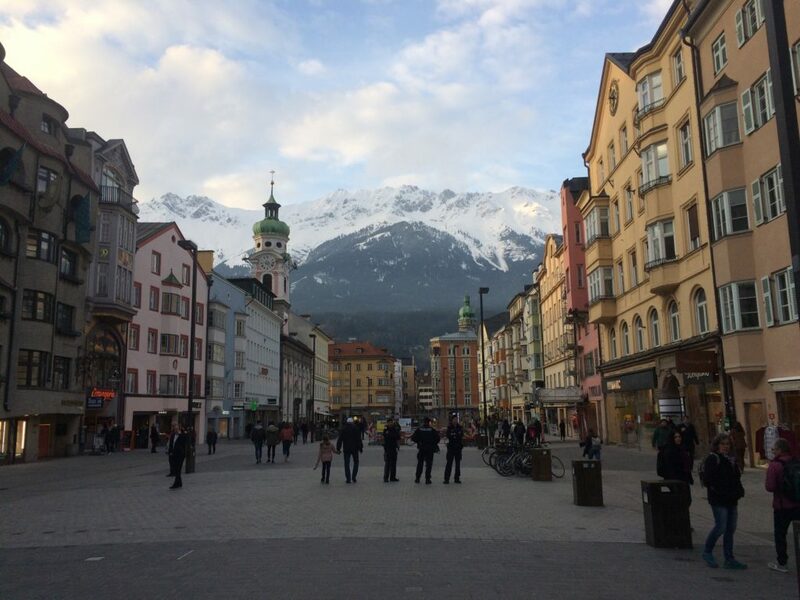 The drive to Kuehtai gets you clear out of Innsbruck. The winding road passes through small villages and beautiful forests, making you feel like you’re traveling far out in the country. Yet, the drive is an easy 45 minutes. Kuehtai’s removed, scenic atmosphere, reliable snow cover, range of slopes, and abundance of facilities (pubs and restaurants) make it a popular option for local families who need a little bit of everything. There are plenty of mellow slopes and conveyor-belt lifts for kids, a terrain park for tricksters, and intermediate off-piste options for advanced skiers. Ski tourers also like this area for the routes on two nearby mountains, Sulzkogel and Pirchkogel. Take a ride on one of the lifts at Axamer Lizum and you’re likely to find yourself sitting next to a college student. The go-to resort for young people living or studying in Innsbruck, Axamer offers the kind of terrain freeriders are looking for – wide slopes, accessible chutes and a lot of red (North America’s equivalent of blue/black) and black trails (includes both black and double black ratings of North America). The resort has a special history twist as well: The Olympic funicular ski lift from 1976 – a big, red block-shaped tram car – still brings people to the top of the mountain, and it’s certainly a site to see as it crawls up its tracks and people ski down beside it. Probably the most local hill surrounding Innsbruck, Patscherkofel’s location can barely be considered outside of the city – it’s just a 15-minute drive from the city center. With only a handful of runs, it’s the kind of place one might hit for a half-day after or before work. For visitors, the appeal is getting off the resort track and getting a taste for a no-frills, truly local mountain. Patscherkofel is a great option if you only have a half day to ski and want immediate access to the slopes. Speaking of immediate access, Nordkette sits almost directly across the valley from Patscherkofel, looking down on Innsbruck from the other side. While Patscherkofel attracts families and mellow skiers, the youth of Innsbruck flock to Nordkette. Accessible from the city center via the Hungerburg funicular and a cable car, it offers an impressive freestyle and park scene as well as steep slopes that, if you know where you are going, can be skied down to the edge of the city (find a local to help!). Don’t expect a full day of no repeats – there’s less than six miles of ski routes – but it’s another good half-day option to explore the local scene. If your timing is right, ski a Friday afternoon and parlay it into the weekly Cloud 9 Igloo party from 6 -11 p.m.